Around 20 two-wheelers stolen daily in city, Value of stolen vehicles touches Rs 2 crore per month. Ramsevak Bhambhri, a resident of a village on the outskirts of the city purchased a petrol motor, for a petty sum, to draw water for his buffaloes. Little did he know that he was sold the 'heart' of a motorcycle stolen from Indore. 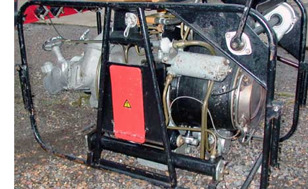 Bhambhri was sold this 'pump,' a modified motorcycle engine, by a gang of vehicle lifters at some discreet lathe house. The rest of the bike parts were sold to other unsuspecting persons who just wanted to save some money by opting to purchase them from grey market. Theft of two-wheelers and selling them or their parts is a big 'business' in Indore. Around 20 complaints of two-wheeler thefts are lodged at different police stations of the city every day, if one goes by the daily status report of city police. Rough estimates suggest that the value of these stolen motorcycles in the city touches a whopping Rs 2 crore per month. According to the officers who deal with investigation of these cases, Hero motorcycles are stolen as their engines can be modified as petrol pumps while Pulsar and Honda models are stolen for their high resale value. Also, as there are large number of two-wheelers of these makes on road, a stolen vehicle becomes difficult to identify. Motorcycles stolen in the city are also sold to unsuspecting customers in rural pockets using forged registration papers. "Traffic checks and paper verification drives in villages are not a common practice. The new owners of these vehicles remain unaware for years of the fact that they are riding stolen motorcycles," said a police officer. Most of the vehicles are however broken down and sold in parts in the grey markets. Investigating officers say that these thieves use wide range of tools - from screwdrivers to cycle spikes - to break locks and steal the bikes and crowded parking areas and busy markets are their playgrounds. Senior officers agree that two-wheeler thefts are a matter of concern, but claim that the magnitude of such crimes was less than what appears. DIG Rakesh Gupta said the number of two-wheelers stolen in a day in the city was around 10-12. "We have installed CCTV cameras in many crowded areas and cops are deployed in plain clothes to check such crimes. The police also conduct routine traffic checks to catch vehicle lifters," he said. The police had recently busted two gangs of vehicle lifters in Azad Nagar and Sanyogitaganj areas. Fourteen stolen bikes were recovered. 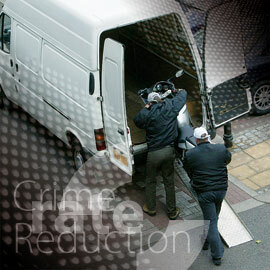 Estimates however suggest that only less than 10 per cent of the stolen vehicles are usually found. Indore police recently started an initiative to track owners of vehicles recovered from vehicle-lifters with the help of automobile dealers. The vehicle-lifters always change registration plates of the stolen vehicles making tracing of owner of such vehicles difficult for police. In July, following discussion with IG Vipin Maheshwari, the Association of Automobile Dealers' Association (AADI) became part of a joint committee comprising one dealer each from every automobile company and DSP (Traffic) Arvind Tiwari, as nodal officer from traffic police. The committee coordinates between auto dealers and the police to help trace owners. "The traffic police have handed lists of stolen vehicles and automobile dealers are tracing their owners with the help of records linked to chassis number," said Gaurav Airen -secretary AADI. He however claimed that in several cases, thieves also damage chassis number. Tiwari said that in most cases of seized vehicles, the insurance company was found to have cleared dues for stolen vehicles. "Compiled data for these vehicles would be finalised later this month," said Tiwari, expecting fruitful results of the drive. I nsurance companies release the claim on stolen vehicles after they receive a police report suggesting that the stolen motorcycles are untraced after a period of 90 days. In case the stolen motorcycle is found after the insurance claim is settled, the company approaches the court to take its possession and later auctions it. But, company officials claim that seldom they get information about such seizures after claim settlement.The companies have urged the police to post information about stolen vehicles and recoveries on websites, which can be easily accessed and monitored by the owners and insurance companies alike. Stolen motorcycles have also become a pain in the neck for genuine bike owners. Several of them have received e-challans from traffic police for violations carried out by those riding the stolen bikes with forged registration number plates bearing the same numbers. "I had a Honda Activa with vehicle registration number MP09 SE6160. I was surprised when I received an e-challan, with the photograph of a person riding Hero Honda Passion with the same registration number, asking me to pay Rs 500 as penalty for crossing a square at Jail Road," said Ajay Motwani, owner of Friends Auto Dealer. "The police did not even check model and company of the vehicle and sent me an e-challan," he added. Traffic police however accepted the mistake and cancelled the challan. Later, Motwani sold the vehicle to avoid any further trouble due to two vehicles running in the city with same registration number. Traffic ASP, Anjana Tiwari said "we have so far sent 2-3 lists to the crime branch and to the regional transport office (RTO) with details of such e-challans, in which, the vehicles were running with the registration number of another vehicles." Regional transport officer, Sanjay Soni accepted having received the lists but said further information would be made available after verification of the said vehicles. ASP (crime branch), Dilip Soni however pleaded ignorance on receiving any list from the traffic police in this regard.